A mixed spiced almond based sweet. 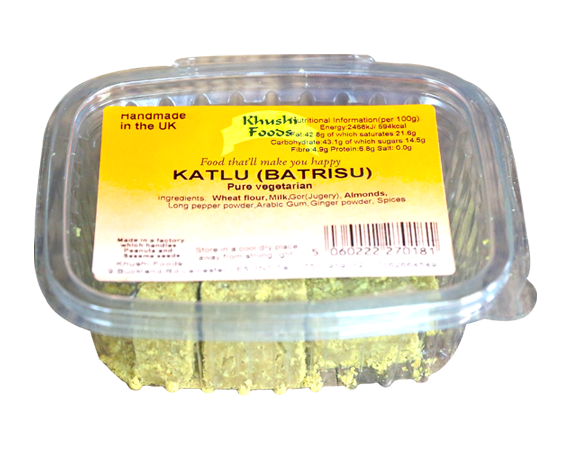 Our Katlu is made from the finest of ingredients including pure butter ghee. Wheat flour, Milk, Gor, almonds, long pepper powder, Arabic gum, ginger powder, spices. Suitable for vegetarians. Contains milk, almonds and wheat flour. Made in a factory which handles sesame and peanuts.